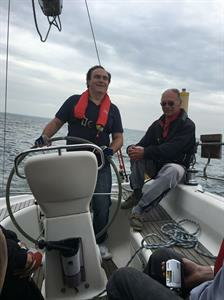 The Channel Sailing Club in Ashtead is once again throwing open its boats for potential and new members to try yachting for the first time. 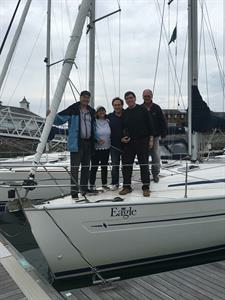 It has joined the Royal Yachting Association's prestigious 'Push the Boat Out' initiative during the month of May. 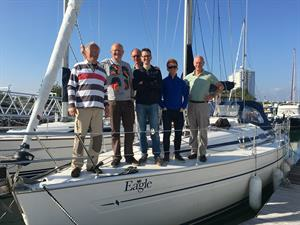 The aim is to get people who haven't tried sailing out on the water to see if they might take up the pastime and join their local club. 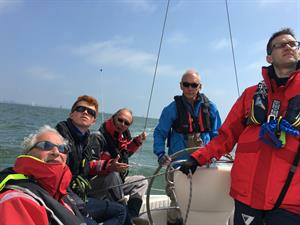 During May the Channel Sailing Club welcomes people who might like to enjoy a 'taster day' on a yacht in the Solent - completely free of charge. You don't have to be a member of our friendly club, but we hope you might join if you like your experience on board. If you're interested in our 'Push the Boat Out' programme just come along to one of our Wednesday social evenings or contact our membership secretary. We will be there at 8:30pm, Ashtead Cricket Club in Woodfield Lane, Ashtead KT21 2BJ. The Channel Sailing Club was launched more than 40 years ago in Ashtead by a group of sailors who lived in or nearby the area. Most members' yachts are located on the south coast, principally in the Solent, where water-borne activities such as exciting racing and friendly cruises take place. 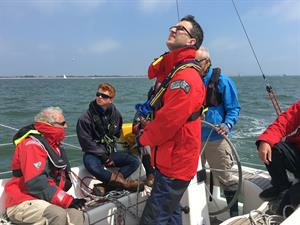 The Club is aimed at sailors of all abilities, from novices to salty sea dogs. And you don't have to own a boat to be a member. 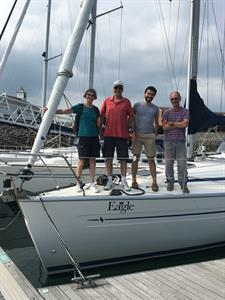 It aims to provide experience at sea and be a vital meeting point for people who either love sailing or want to learn. Many of the 170 members - who live far and wide - have gained RYA qualifications at the club, taught by its own accredited instructors. 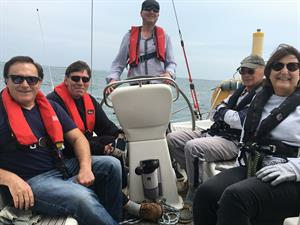 Low cost membership of just £30 a year is open to all those interested in sailing and navigation and newcomers are offered friendly guidance from an experienced member who can explain what goes on, answer any queries and help make introductions to other members. 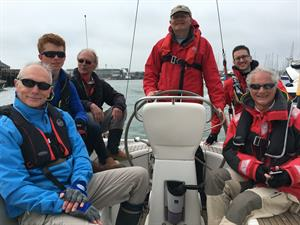 While there are about 50 members with boats, many people are happy to sign up as crew for lively racing and relaxed cruising events along the south coast. * Social rallies, typically in 'home waters' that include a BBQ or dinner in a yacht club. * Experience weekends which involve structured activities such as helming, mooring and safety awareness. * A thrilling yacht racing programme. 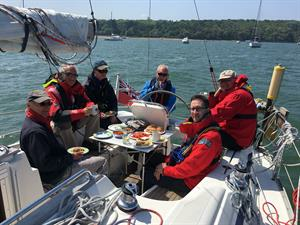 We also help members join in non-club events such as the famous Round the Island race. 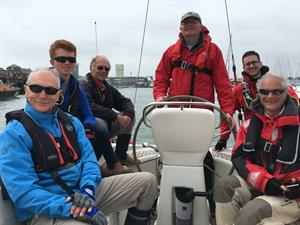 Learning is a key part of our activities and novice sailors are encouraged to sign up for shore-based and practical RYA qualifications to expand their nautical know-how. Social activities take place in our clubhouse on Wednesdays and we also run a number of evening events including informal dinners, talks and a summer BBQ. Come along to see why we are so successful! 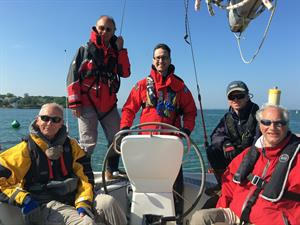 The RYA's Push the Boat Out is all about getting out on the water and discovering sailing near you. Nearly 400 venues across the UK, have now signed up to be involved with Push The Boat Out in 2019, offering an opportunity to get out on the water and to experience the joy of sailing or windsurfing in May. 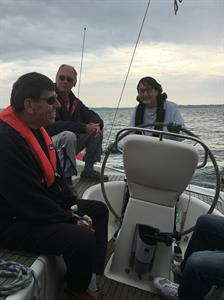 If you would like to try sailing or other waterborne activities, you can search on www.rya.org.uk for events taking place near you. There is also useful information on different types of boating and how you can get started as well as beginners courses available.